Did you know that 81% of websites use Affiliate Marketing? AffiliationSoftware is a free and easy-to use Affiliate Software. It allows you to create your own affiliate program and increase your sales by having your website promoted by hundreds of affiliates. Track referred conversions and monitor results in real time! Increase your Sales with Affiliate Marketing! to increase your website sales? 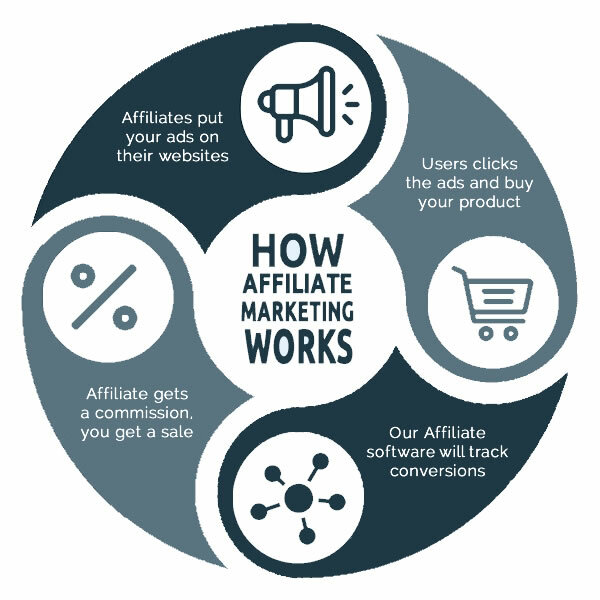 With AffiliationSoftware you can create and manage your own affiliate program in minutes. Create partnerships with other websites to advertise yours, and have your products promoted by hundreds of affiliates! To see who is bringing you traffic and sales you can easily monitor your affiliates’ statistics and conversions, with charts and reports updated in real time. Recognize which sales your affiliates referred, and reward them based on the real results they achieved, for example 10% per each sale. This way the affiliate get a commission and you get a sale!